This article by Center for Congregations Information Technology Director Aaron Spiegel appeared in the Summer 2009 issue of Congregations magazine. A recent YouTube video titled “Social Networking in Plain English” claims networks are only as valuable as the people and connections one can see. If I think about real “friends” and connections in my life this makes perfect sense. The piece goes on to assert that social networking sites help us see the real world connections that are hidden. So, by allowing me to see who my friend’s friends are, I can connect with a broader community than the one I can “see.” Simplistic? Yes, but this is really the essence of social networking. Social networking sites are a phenomenon. Sites like Facebook, My Space, YouTube, LinkedIn, and others are redefining personal social experiences. They have even redefined the use of the term “friend.” The Annenberg Center for the Digital Future’s 2007 report was titled “Online World as Important to Internet Users as Real World?”and the 2008 study reported that membership in online communities has more than doubled in only three years. These sites are also changing the way people communicate with their congregations. We see more congregations creating Facebook and LinkedIn groups, using YahooGroups as extensions of congregational communications, and even pastors Twittering (microblogging). To find out what congregations are really doing with social networking we conducted a survey. The results are interesting! Of the congregations surveyed, only 32 percent reported that they had a Facebook or MySpace page for their congregation. When we asked why, some reported suspicion of the medium and a general lack of knowledge about its purpose. Several commented that clergy won’t support it. Some report that they are still trying to get a functional website up and running (an interesting reminder that we can’t assume all congregations are using even basic technology tools). One of my favorite responses was “My church does not see the need to have a website. They still treat the Internet like it is a novelty.” Interesting, since someone from that church saw this survey and thought it important enough to fill it out! Of the 32 percent who answered that they did use Facebook or MySpace, nearly 60 percent affirmed that it enhanced communications between the congregation and its members. While 32 percent of congregations reported using these tools, almost 50 percent of those surveyed answered “yes” when asked if the pastor or rabbi has a personal Facebook, MySpace, blog, or other such account. So, while almost half of congregational leaders are using social networking, respondents don’t consider this to be part of the congregation’s communication strategy! There seems to be widespread perception that social networking tools target a certain age group. When we asked, “Does social networking target a specific age group (i.e., next-generation twenty- to thirty-somethings)?” 57 percent of the responses were either “definitely” or “we think so.” “Not sure” accounted for another 21 percent. “No” trailed at a mere 6 percent. Recent data shows a different picture: The average age of Twitter users is between thirty and forty-nine. According to comScore in 2007, the average age of social sites like Facebook and MySpace was twenty-five and trending upward. According to Inside Facebook, the number of users over thirty-five has nearly doubled in the last sixty days (dated March 25, 2009). The fastest growing demographic is women over fifty-five. “The biggest growth in terms of absolute new users over the last six months occurred among users thirty-five to forty-four.” The majority of U.S. Facebook users are now over twenty-five. Clearly these are not tools for young people, at least not anymore. I understand the reluctance of congregations to venture into the world of social networking. Caution is certainly warranted—but I don’t think we can wait too long. People are spending large amounts of their time in the virtual world. We need to be there to greet them! 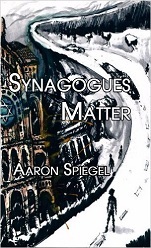 Rabbi Aaron Spiegel is the information technology director of the Indianapolis Center for Congregations.